If you are a crafty person who loves making handmade soaps check out these editable free soap labels printables created just for you. 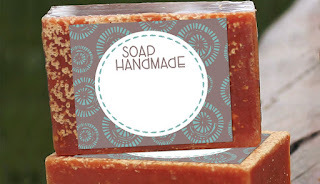 Whether you are running soap business or just making soaps for friends and family, it's always good to label your product and make it more appealing. These labels are editable and can be used for product name or ingredient list. Simply add your product’s name, the fragrances and ingredients you used and apply the labels to your products. You can also create wonderful gifts for your friends and family by adding some personal messages.